But a new study by the National Bureau of Economic Research questions whether such wellness programs are effective, in part because they only attract individuals who are already healthy. The study, which only lasted a year, admits that the programs’ positive benefits might become more apparent over a greater period of time. But their conclusions still reveal a common misunderstanding about the effectiveness of wellness programs: that they’re a silver bullet solution to better health. To truly impact health, wellness programs can’t stand alone. They need to be integrated into an effective primary care model. That’s why Vera health coaches and providers work together as part of a patient’s dedicated care team. Integrated health coaching improves overall health outcomes and increases engagement with high-risk populations that might otherwise avoid such services. Dedicated care teams ensure that all populations, not just healthy ones, benefit from the advantages of health coaching. High-risk populations represent the greatest opportunities for improving health and reducing costs. 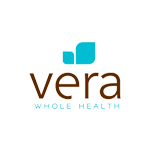 At Seattle Children’s hospital, nearly 100% of type 2 diabetic patients engaged with a Vera clinic. Through effective primary care services, coupled with health coaching, those patients saw a reduction in annual medical spending of $920 per member after year two. Want to find out how Vera engaged with Seattle Children’s high-risk populations? Check out our white paper: Two Truths About Patient Engagement And Healthcare Costs.